A new sushi bar and Japanese spot has debuted in the neighborhood. Located at 1811 Fairmount Ave. in Francisville, the fresh arrival is called Engimono Sushi. This newcomer is the latest project from restaurateur Albert Zheng, who also runs Kabuki Sushi in Market East. Zheng is also planning to open another outpost, called Engimono Poke & Deli, on the same street at 2319 Fairmont Ave., according to public records. The menu is extensive and features sushi entrees, tempura, teriyaki and hibachi-grilled dishes. For sushi, expect to see a variety of mainstay offerings such as spicy tuna, unagi, California rolls, salmon rolls, sashimi variations and more. Switching over to rice plates and noodles, look for tofu, chicken, beef, or salmon teriyaki served with rice and a soup or salad; chicken or shrimp fried rice; and udon noodles with veggies, chicken, beef or shrimp. There's a selection of lunch special offerings available, too, Monday-Saturday 11am-3pm. 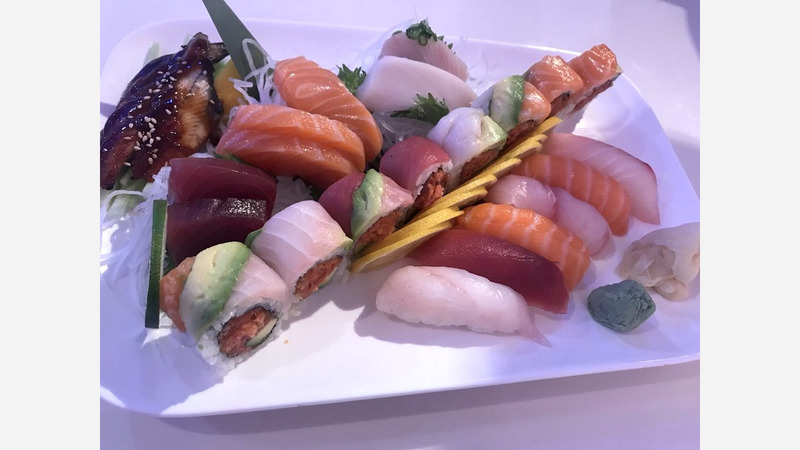 Kathleen A., who was the first Yelper to review the new spot on February 16th, said: "Super fresh sashimi and delicious sushi rolls. A lot of variety; they also have teriyaki and hibachi entrees. Nice and clean."